Combining fighting, performance and physical exercise, wushu is a traditional sport practised in different styles and on set patterns, either with or without weapons. It flourished in the various dynasties during the past millennium and embarked on a new stage of development in the early fifties of this century. 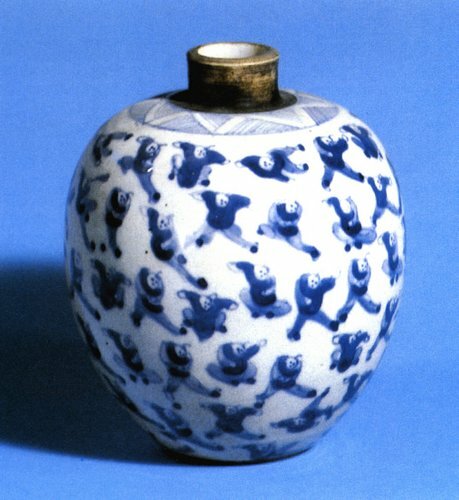 A Qing porcelain pot showing a variety of wushu movements. 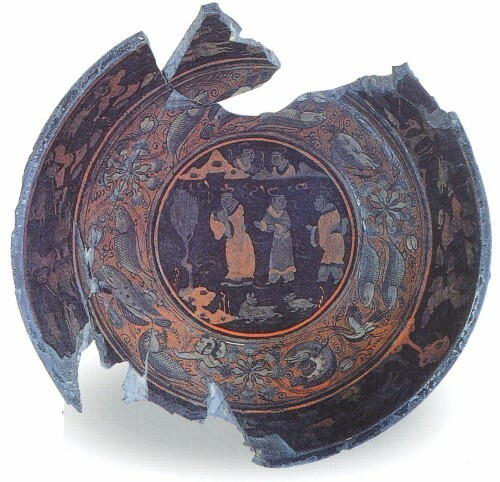 Cudgel play as painted on a lacquer plate dating back to the third century, unearthed in 1984 in Ma’anshan, Anhui Province. 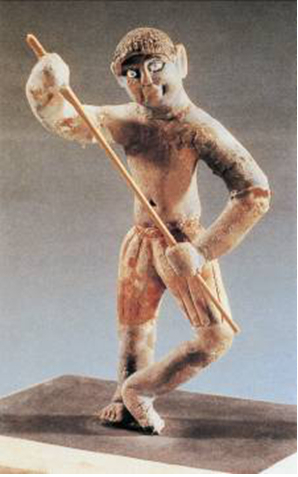 A clay figurine in the Tan Dynasty (618-907), unearthed in 1960 in Turpan, Xinjiang Uygur Autonomous Region, showing a warrior in an ethnic group wielding a cudgel. 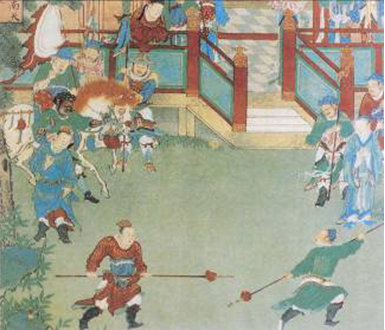 Wushu performances to entertain Emperor Xianzong (reigned 1465-1488) of the Ming Dynasty on the Lantern Festival. Wushu with spears: A mural in Chongshan Temple in Taiyuan, Shanxi Province, built during the Ming Dynasty (1368-1644).